The Xtava Pro Satin Flat straightener features highly efficient, infrared heat technology that is proven to cause less damage to the hair cuticle as you straighten. For someone who needs to straighten pretty much everyday, this is great news. Taming the Wookiee look each morning is a must do, but as with most heating elements doing it too often, with taking the necessary measures to prevent heat damage can actually give you the opposite look you was looking for. 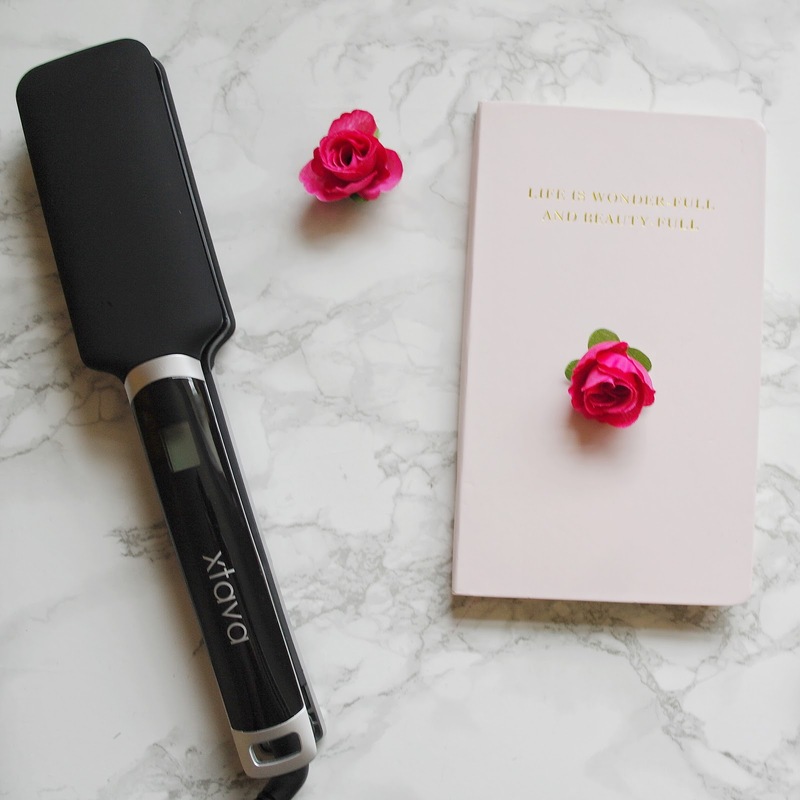 So armed with serums and sprays you will be able to maintain your luscious locks even on the highest temperature with the Xtava Pro-Satin Straighteners. What makes them even better, is that they have an extra wide floating plate as well as a upper Dual-Plate technology that heats in just 90 seconds with an auto-shutoff function to help ease the worry. There are different temperature settings to choose from ranging from 130°C-230°C which covers all types of hair, from fine flyaway hair to super thick Wookiee hair, yes I have to tame the Wookiee look most mornings. The Xtava Pro Satin Flat straighteners arrived in a beautiful box, which was a lot bigger than I thought it would be, but I soon realised why when I got around to opening the box. They are quite large in size with the plates measuring around 5cm, a few years back I had a similar set from Toni&Guy and I was completely devastated when they broke, so I was excited to try these. As I opened the zipped bag I soon realised that they came with a 360 degree swivel cord with an extra long cable, which can easily reach all the parts of your room without affecting the whole straightening routine or to see what mischief my toddler is up to in her room. 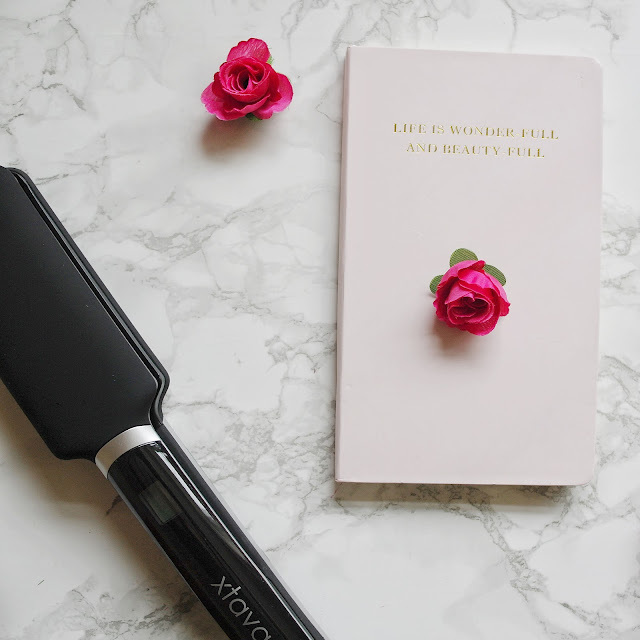 I couldn't believe it took less than 90 seconds for straighteners to heat up that incorporates an infrared technology meaning great things for those who use heat. Infrared heat differs from traditional heat in that it operates using longer wavelengths which will enable a deeper penetration, heating the strands from the inside out. At just £29.99, you can't really go wrong. You definitely won't break the bank in order to get some gorgeous sleek and smooth locks. 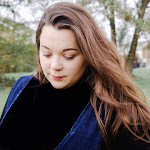 I must admit at first I wasn't expecting great things as I am a 'GHD' kind of gal, but I have been proven wrong with the Xtava Pro-Satin Infrared Straighteners. The heat on these irons is pretty impressive, and the fact that they can heat up in less than 90 secs and on different heat settings makes it that more more appealing, as it caters to all types of a hair. When I set to straighten the mane there was absolutely no pulling, and the plates glided through my thick, wavy hair in 10 minutes, 10 MINUTES!!! Overall, for the price I honestly don’t think you can go wrong, and it is great to see a product that finally works on thick hair as it does on normal or fine hair. I have also seen that Xtava has other products, the curling wand is the next one on my list!! - Heat ups in less than 90 seconds. - Wide heating plates (5cm). - Great performance, straightens thick hair in 10 minutes. - The 360 degree swivel cord and a long cable length. - Pro Satin and infra red to protect the hair even at high temperatures. - Storage case is great for storing the straighteners when not in use. - Be careful not to touch the plates, they get extremely hot and it really hurts! - I didn't come across Xtava sooner. W A N T T O W I N Y O U R O W N ? 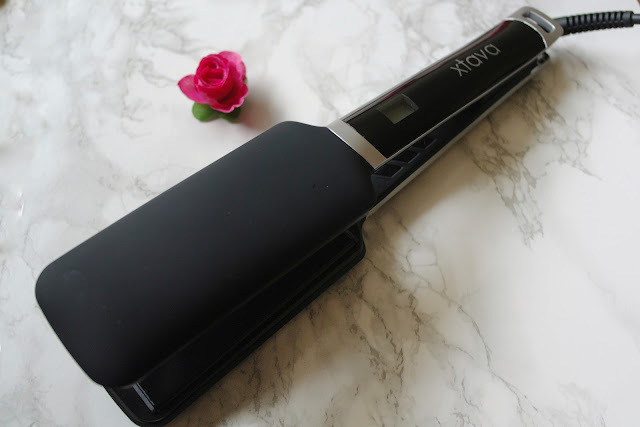 We have one set of Xtava Pro Satin Straighteners to giveaway! To enter, simply use the gleam app below. There are a number of ways that you can enter, remember the more ways you enter the more chance you'll be in the running for a pair of the Xtava Pro-Satin Infrared Straighteners. Christmas is just around corner, so perhaps enter for loved one. GOOD LUCK! Don't forget if you like me, pin me! 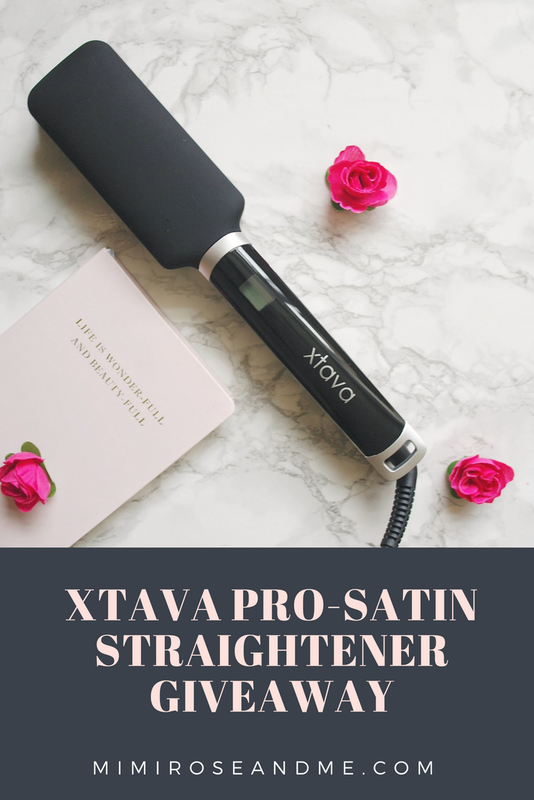 5 comments on "XTAVA Pro-Satin Infrared Straightener Review + GIVEAWAY"